Experience a novel way of witnessing the beautiful Mediterranean coast! Whether you’re looking to enjoy sightseeing around the ruins of once-mighty empires or shopping in quaint villages’ shops and designer boutiques – the Mediterranean is one of the best destinations to explore by ship. With Princess Cruises catering to a wide range of itineraries to suit varying preferences, this is a vacation for all to revel in. 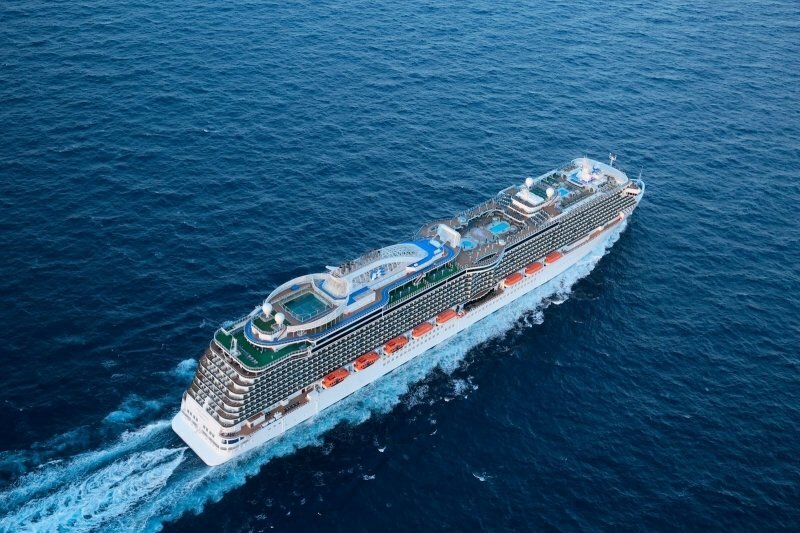 Embarking on Princess Cruises’ Mediterranean Fly-Cruise combines the best of both air and sea travel while offering an impressive choice of itineraries across the region. The seamless Fly-Cruise holiday allows you to spend more time exploring the exotic region onboard the spacious and elegant Crown Princess and Emerald Princess. Simply fly to your departure point and sail away on a luxurious cruise to discover one of the most fascinating destinations in the world. Here are three of the best Mediterranean Fly-Cruises that will entice you to take a voyage through this mesmerising region of picturesque sights, rich culture and amazing food. The Adriatic Sea separating the Italian Peninsula from the Balkans is undoubtedly one of Europe’s most stunning coasts. The waters are a picture-perfect blue from afar and crystal clear up close. There are truly no better waters to traverse on a Fly-Cruise than the Adriatic. Your first port-of-call will be the picturesque coastal town of Santorini, with its Insta-famous whitewashed buildings and dazzling hilltop views. You can’t pass up the opportunity to pose for some photos while strolling along Oia Castle, the most popular location to admire the breathtaking sunset over the charming white rooftops. Kamari Beach is also a great Instagram spot as the charcoal-black sand perfectly juxtaposes the azure waters. After all the sightseeing on this fabulous island, you can dine in one of Santorini’s bustling taverns and try the tomatokeftedes (tomato fritters fried with peppers, onions and mint), fava (yellow split pea puree) and pita gyros (kebabs wrapped in pita bread). Check out Metaxy Mas, Cava Alta and Remvi for delicious Greek fare coupled with gorgeous views. If you can’t get a table at these restaurants with a view in Santorini, don’t despair, dining al fresco onboard the cruise ship is a wonderful alternative! With Princess Cruises’ Ultimate Balcony Dining experience, you’ll have a magical night feasting while looking over the endless deep blue of the Adriatic. Naturally, no trip to the Mediterranean is complete without hearty servings of seafood. For the freshest catches, head to Viri Ku C’e and indulge in a sumptuous variety of seafood from fish to squid to shellfish. For dessert, treat yourself to brioche con gelato, a brioche bun sinfully stuffed with creamy Italian ice cream! Thereafter, snap some pictures as you explore Taormina on the Ionian Coast, where you can capture the vibrant hues of the beach, lush greenery, and colourful painted houses all in a single frame. Southeast Sicily, dubbed the “city of chocolate”, is also perfect for you to watch chocolatiers at work in one of the numerous chocolate shops. And if you want to indulge your sweet senses further, go on a chocolate journey… onboard the cruise ship! 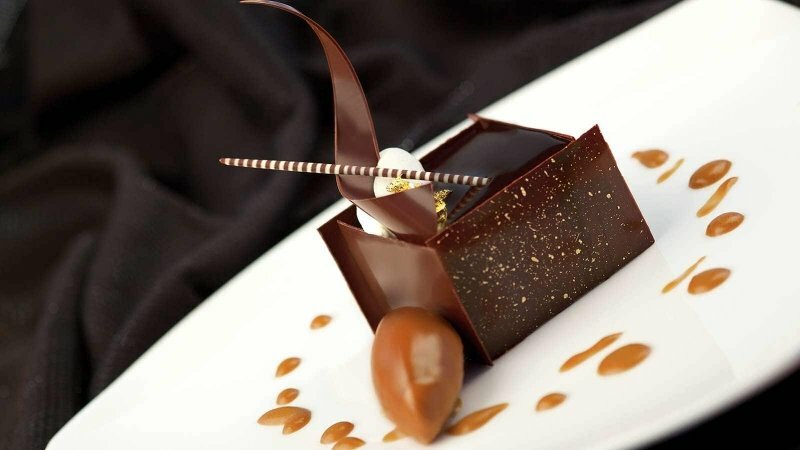 Princess Cruises’ Chocolate Journeys programme lets you enjoy confections created by master chocolatier Norman Love, exclusively for Princess Cruises. A vast range of delectable pastries and desserts are available daily on the menu for your tasting pleasure. Next stop is Naples, known as the birthplace of pizza. Obviously, the classic thin-crust pizza is a must-try here. Before you tour this quaint city, be sure that you have a chance to dine at Alfredo’s Pizzeria onboard the cruise. It is voted Best Pizza at Sea by USA TODAY and best of all, it is FREE. This charming dining space entices with superb freshly-prepared individual-size pizzas. 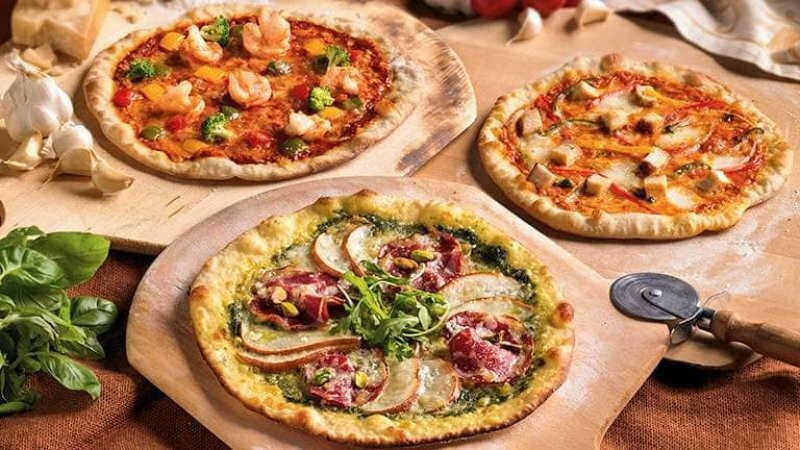 Pair them with a cold beer or a fine glass of wine and savour these gourmet hand-tossed pizzas, all served straight out of the oven! After settling your hunger pangs, take time to explore the Naples’ incredible old architecture and public squares. Join an easy city tour and revel in the sights and sounds of this southern Italian city. Whether you’re discovering important antiques and relics at the Naples National Archaeological Museum or soaking in stunning panoramas from the Posillipo hill that overlooks the stunning Gulf of Naples, your trip will no doubt be a memorable one. As you journey to Barcelona, Spain towards the end of your Fly-Cruise, you might still be craving for succulent Mediterranean seafood. 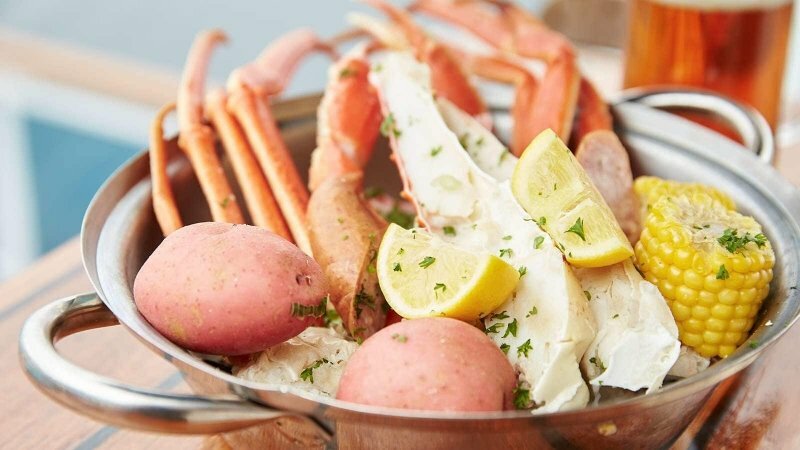 Dining at the Crab Shack, onboard the cruise ship, offers seafood lovers tantalising options ranging from Bayou-style crayfish to piping hot clam chowder. The Aegean Sea, which features prominently in Greek myths, attracts millions of visitors each year. Cruising on the sparkling waters of the Aegean lets you experience beautiful natural surroundings, craggy mountains and glorious beaches. On Princess Cruises’ Mediterranean & Aegean Fly-Cruise, you’ll discover the region’s most enchanting destinations over seven days, starting in Rome and ending in Athens. The grandeur of Rome is simply incomparable and a visit wouldn’t be complete without visiting awe-inspiring historical monuments like the Colosseum and Trevi Fountain. Lesser-known is the Quartiere Coppede, a mishmash of architectural and design styles from Greek to Baroque giving it an almost fantastical quality. And atop the famous St Peter’s Basilica, is a rooftop that offers an amazing Instagram-worthy view of Rome. Foodies can delight in the fact that Rome is brimming with delicious Italian treats. Roam around and discover some of the city’s most lip-smacking snacks and delicious local food that will leave you craving for more. The vibrant gastronomic scene here is one you will certainly take notice of. Suppli (Fried risotto balls) are never in short supply at Supplizio, along with other favourite Italian finger foods. At Emma Pizzeria Con Cucina, preface your classic thin-crust pizza with fiori di zucca (stuffed zucchini flowers). And to round up your meal on a sweet note, Il Gelato di Claudio Torce has an eclectic assortment of gelato flavours including gorgonzola, celery and even Szechuan pepper! Once you’ve departed Italy’s shores you may still be craving for pizzas and pastas. Fortunately, Princess Cruises’ Sabatini’s offer award-winning rustic Italian fare onboard, where you can dine in comfort and luxury! Featuring the use of timeless authentic recipes, tuck into highlights such as Homemade Pappardelle with Shrimp and Broccoli, Roman Seafood Papillote and Osso Bucco alla Piemontese. From handmade pasta to traditional stuffed calzone, choose from a variety of dishes and styles. Later, whet your appetite with an irresistible selection of drool-worthy desserts. Traditional Italian specialties have always been Sabatini’s hallmark so don’t miss out on this incredible dining experience onboard. The unassuming town of Kotor on Montenegro’s Adriatic coast is located near the picturesque Mt. Lovcen limestone cliffs. Characterised by winding streets and squares, this medieval town allows you to enjoy classic Instagram-worthy views of the Bay of Kotor as well as the breathtaking Skadar Lake River Bend. Galion is a great restaurant, especially if you love waterfront views. Situated on the Boka Kotorska Bay, Galion specialises in fresh seafood along with a selection of meat and vegetarian dishes. You can’t leave Kotor without experiencing an authentic Balkan grill at Tanjga, which has received numerous rave reviews from tourists and food critics alike. If barbecued meats are your thing, Crown Grill onboard Princess Cruises’ Crown Princess guarantees amazing steaks and grilled seafood too. Voted by USA Today as one of the world’s best cruise ship steakhouses, Crown Grill offers an intimate dining experience in an elegant setting, with cooked-to-order top quality food. The wonders of the Mediterranean offer an unforgettable cruising experience as you explore fascinating shores, sample the rich culture, witness the magical sights and savour the local cuisine. This Mediterranean Fly-Cruise brings you to four unique ports of call that make for unconventional getaway spots. 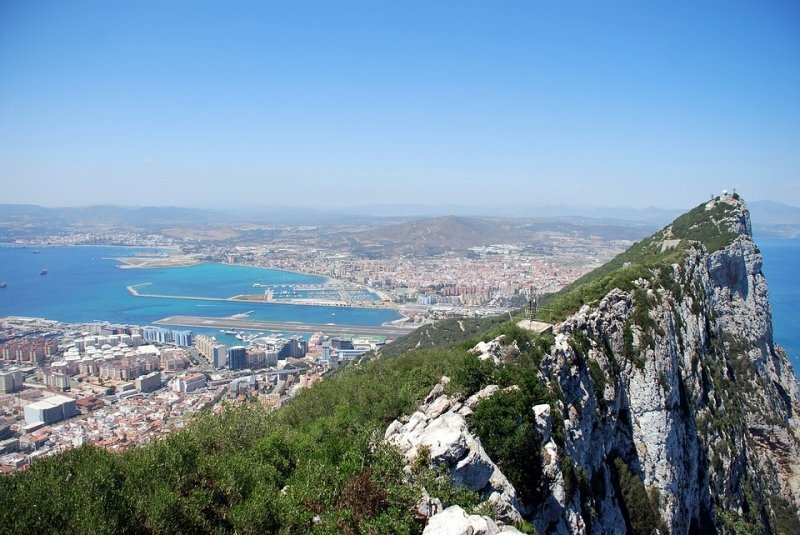 Gibraltar’s complicated history and current status as a British territory on Spanish land provide the backdrop for its diverse cultures, languages and quirky attractions. The unique cuisine here is inspired by English, Italian, Spanish and Maltese cultures. Though it’s hard to find traditional Gibraltan food in restaurants, you still have plenty of options: from good old fish and chips at Lord Nelson, to an eclectic fusion of influences at Gatsby’s. The views are spectacular from vantage points like the top of Upper Rock Nature Reserve where you can see all the way to Spain and Morocco. Opt to take a cable car ride for an equally mesmerising view! 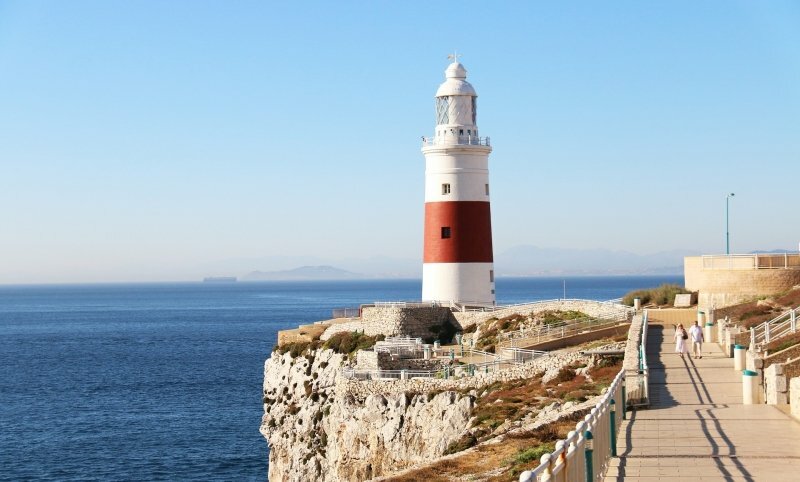 Catalan Bay and the Slopes of Gibraltar also provide sprawling landscapes that will thrill photographers, while the iconic Gibraltar Lighthouse on Europa Point is a must-visit attraction. Do not miss some of Gibraltar’s most celebrated points of interest while you’re sauntering around! 24-hour International Café onboard Princess Cruises, you’ll find an extensive selection of food and discover new flavours to ignite your taste buds. 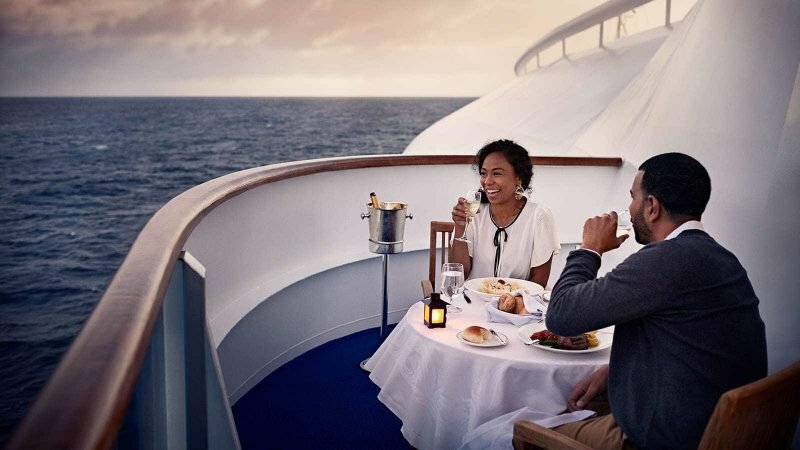 In fact, Princess Cruises was voted the best cruise line for food lovers by Food & Wine Magazine. 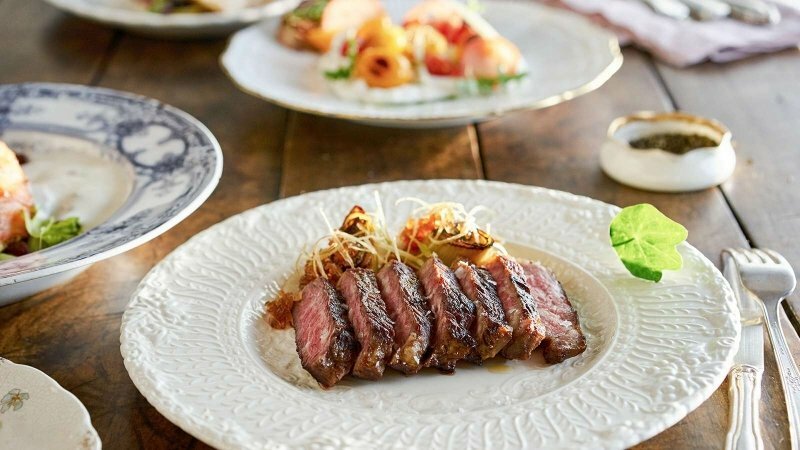 Don’t miss out on dining at Chef Curtis Stone’s specialty restaurant: SHARE by Curtis Stone on Emerald Princess, which is sailing the Mediterranean in 2019. A six-course fine dining experience awaits courtesy of the acclaimed chef’s top-notch recipes using some of the freshest ingredients. 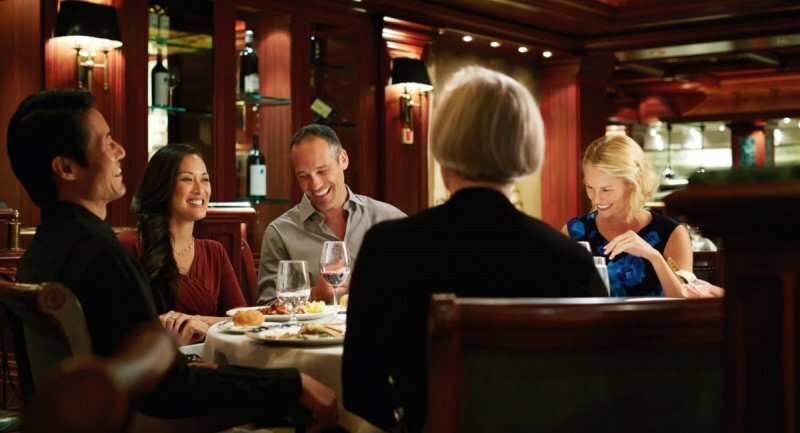 Indulge in main courses from both land and sea and enjoy fresh cuisine onboard. Savour the moment! 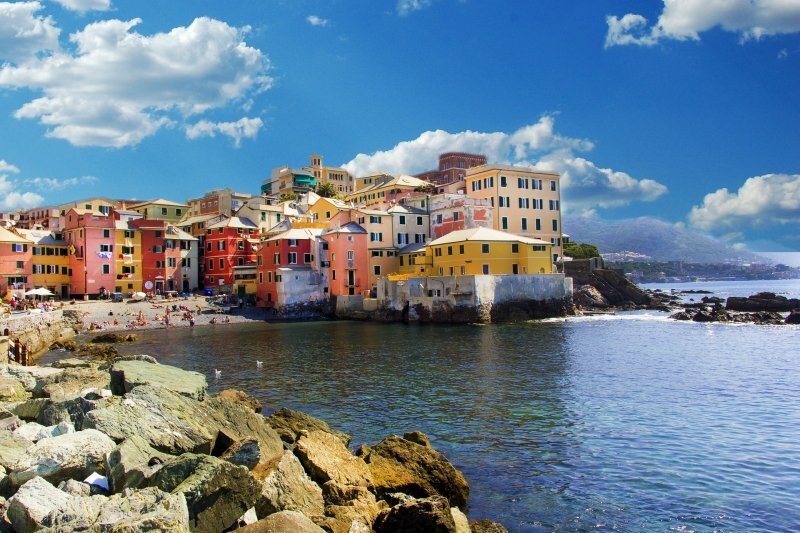 Named the European capital of culture, Genoa is Italy’s hidden coastal jewel. As it is the capital of Liguria, traditional Ligurian dishes are the specialty here. Try swordfish carpaccio and curry with mussels and tomato sauce at Le Cantine Squarciafico. Ravioli and pansotti (stuffed pasta) with walnut sauce are also popular dishes. 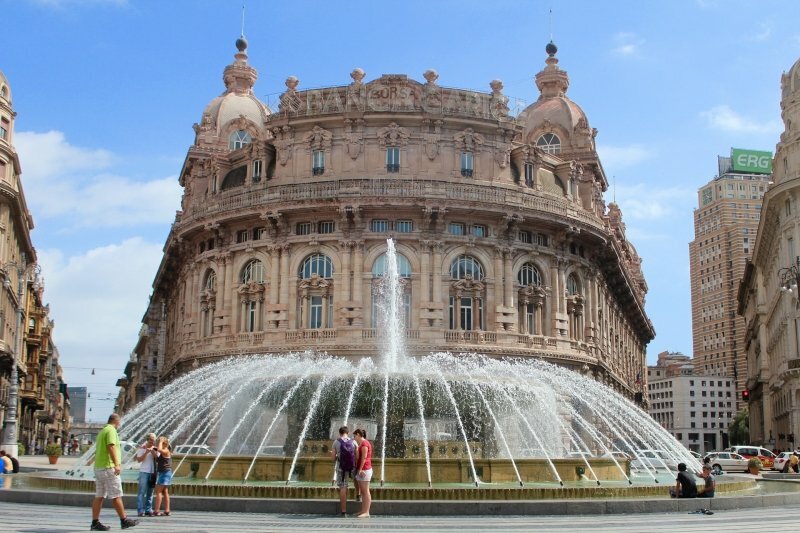 You will find many restaurants and cafes while walking around Piazza di Ferrari, the main square of Genoa and the intersection between the historical and modern centres of the city. The square’s renowned fountain is lit up in various vibrant colours at selected times and is often surrounded by stalls selling food and handicrafts. 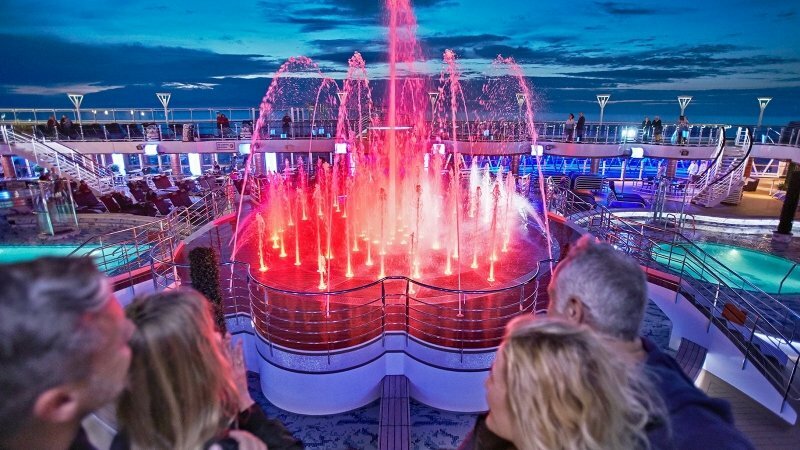 If you can’t get enough of the dazzling water display, here’s a tip: check out the spectacular Princess Watercolor Fantasy light and water show available onboard the Sky Princess, Princess Cruises newest ship debuting in 2019. You’ll be dazzled by an array of lights, music and dancing water streams. We dare say it’s just as worthy of your Instagram feed as the fountain at Piazza di Ferrari itself. The Mediterranean is bursting with lively attractions, amazing tastes and breathtaking views. The only thing that could make your holiday any better is luxurious accommodation, entertainment, dining and activities all onboard one cruise. With several different ports of call in one journey, luxurious and well-furnished accommodation, plus a multitude of activities and dining options, a Fly-Cruise lets you explore amazing destinations while travelling in utmost comfort and style. Ride on this trend, select from Princess Cruises’ three captivating Mediterranean routes, pack your bags and start your unforgettable Mediterranean experience! 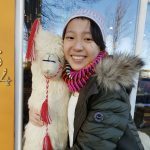 Rachel loves to write, travel, and of course, write about travel. She believes that you can find beauty and wonder in the little things, in any little corner of the world. If you can't find her at a desk with her head stuck in a book or up in the clouds, she is probably dancing or even more probably checking the fridge.